The NSW Government has announced it will invest $8.7 million from its Quantum Computing Fund (QCF) in a new quantum computing partnership led by the University of NSW (UNSW Sydney). “This new company, led by UNSW, will help to ensure we remain global leaders in the race to develop a silicon based quantum computer,” Mr Barilaro said. “This is one of the first investments the NSW Government has made from its $26 million Quantum Computing Fund. “Professor Michelle Simmons and her incredibly talented team of researchers at UNSW have put Australia ahead of the pack in the race to build the world’s first fully-functional quantum computer in silicon,” he said. 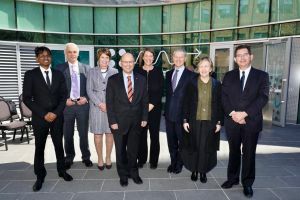 Mr Barilaro said the UNSW-led research consortium also comprises the Federal Government, Commonwealth Bank and Telstra. “Quantum computing could pave the way to solving complex problems at speeds never seen before,” Mr Barilaro said. “It has the potential to solve health problems, better predict traffic patterns and even help farmers with improved climate modelling,” he said. NSW Chief Scientist & Engineer, Professor Mary O’Kane said the potential benefits to the state are considerable. “The NSW Government has keenly supported the ground-breaking research of the UNSW quantum team over many years, and it is great to see the team targeting the challenges of commercialisation through this new company,” she said.